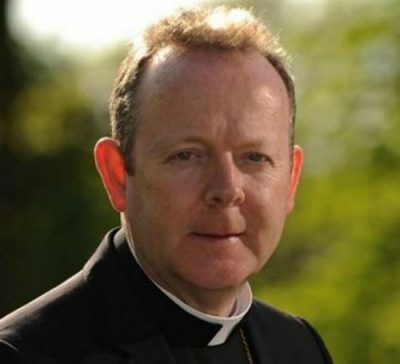 Archbishop Eamon Martin, Archbishop of Armagh and President of the Irish Episcopal Conference, will meet survivors of clerical abuse before the crucial Vatican meeting on the Protection of Minors from 21 to 24 February 2019. “As a priest and bishop I have already met many survivors and have always found it a humbling yet important and worthwhile experience,” he told CatholicIreland.net. His comments came after the steering committee for the 21 to 24 February meeting in the Vatican on the Protection of Minors wrote to the presidents of the episcopal conferences of the world asking them to prepare for the crucial meeting by learning “first-hand” the suffering that victims have endured and meeting survivors of abuse. Without a “comprehensive and communal response, not only will we fail to bring healing to victim survivors, but the very credibility of the Church to carry on the mission of Christ will be in jeopardy throughout the world,” wrote the steering committee, in a letter signed by Cardinal Blase J. Cupich, Cardinal Oswald Gracias, Archbishop Charles J. Scicluna and Fr Hans Zollner SJ. The Holy Father is convinced that through collegial cooperation, the challenges facing the Church can be met. But each of us needs to own this challenge, coming together in solidarity, humility, and penitence to repair the damage done, sharing a common commitment to transparency, and holding everyone in the Church accountable, the letter concluded. Archbishop Eamon Martin, Archbishop of Armagh and Primate of All-Ireland, is the President of the Irish Episcopal Conference.